I finally concede that the actual eighth natural wonder of the world is not a certain small town as I once declared on this blog. A woman’s body has defeated that one and perhaps has always been the supreme natural wonder. You’re probably thinking feminists, its okay I have since learned to stop protesting. Apart from all the wonders a woman’s body is able to do, there is myriad of all we are able to endure. I am not lodging a complained against Mother Nature. I have just undergone another experience that has reawakened my senses of the feminine prowess. Without anyone ever accusing me of being back work I have always thought of myself of having the practicality of a grandmother and a woman of action. Beauty treats like nails have never been on my list of to do things. I have always admired a neat set of pedicure on a woman and sometimes find myself wondering how I would look with long eyelashes. I have the utmost respect for women who can function unhindered by all these ‘extra’ we add on. 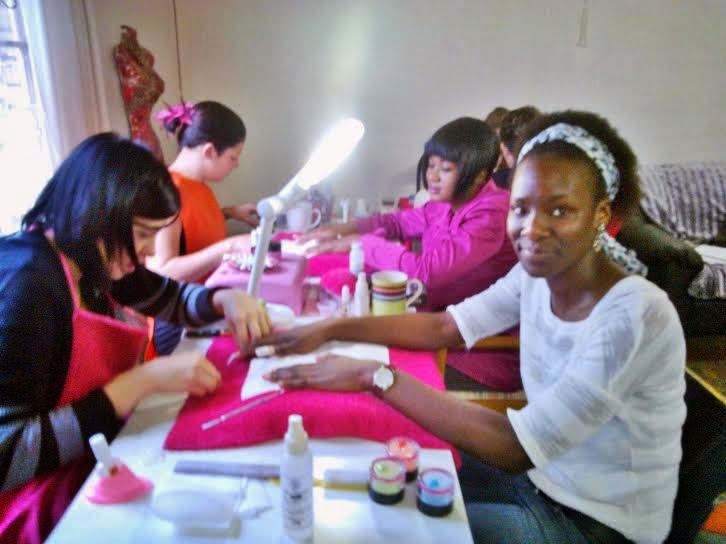 Yesterday I had my nails done by the wonderful girls of Ingwe Park’s Beauty academy in Phalaborwa. The academy’s founder Antonet’s charming personality made the experience feel so natural and exhilarating it was. Before that I had never gone for two weeks without feeling the need to chip my nails. After this session I promise not to frown or pass judgment on another pampered woman again. There was the usual female chatter, commentary on current trends and a few on the Oscar Pistorious murder trial and then there was coffee! At the risk of sounding myopic, I found everything that would make you wonder why psychologists are even necessary when we have beauty salons. 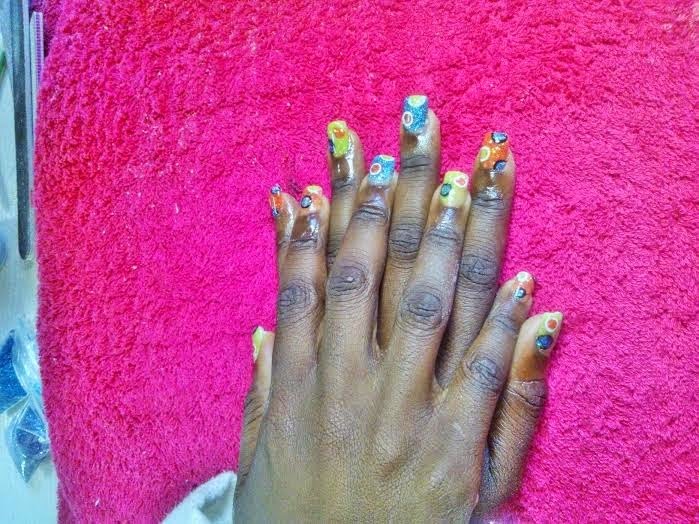 After a couple of hours (I admit I was not paying attention to time) I got up from a seat with an artistic and colourful set extended to my nails. I watched this assemble being put together right before my eyes. 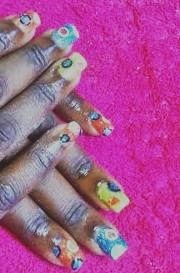 Beauty therapists are artists, another concession I am making. Suffer for beauty they say. I find it to be an adjustment. My new nails are medium short but I feel like I have overgrown claws. The practical granny now feels incapacitated and invalid. Everyone asks me what the fuss is about, the nails are beautiful and the colour is just-WOW simply because words fail me. Of course I would have chosen a smaller size, but where is the fun in the same old style. This morning I woke up contemplating shortening them a bit but after a lecture from my younger sister and brother, I decided to keep them as they are, hence I lose face. No one wears pain better than a woman! I am forever amazed, mesmerized and fascinated by the woman anatomy. It took nails to discover my supernatural woman instinct. Amazing how I have to work zips among all the things I have to do with great and gentle consciousness.